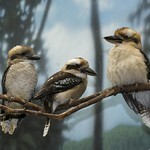 The laughing kookaburra has a white chest and head, with brown wings, a brown back and brown stripes around the eyes. 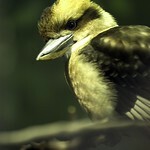 Commmon. 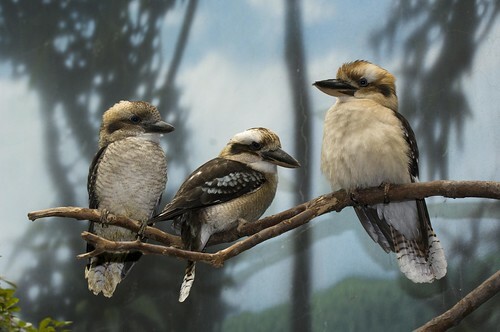 Lincoln Park Zoo participates in the Laughing Kookaburra Species Survival Plan®, a shared conservation effort by zoos throughout the Association of Zoos and Aquariums. 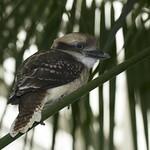 The kookaburra feeds on snakes, lizards, insects and rodents, a diet that made it popular with Australian settlers. 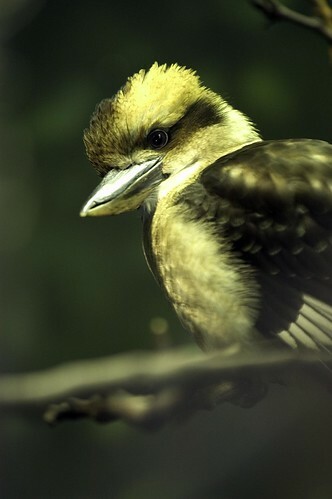 The bird uses its large beak to grasp prey, which it kills by striking against its perch. 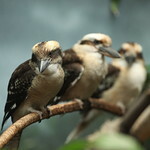 Laughing kookaburras live in territorial groups of three or more birds. 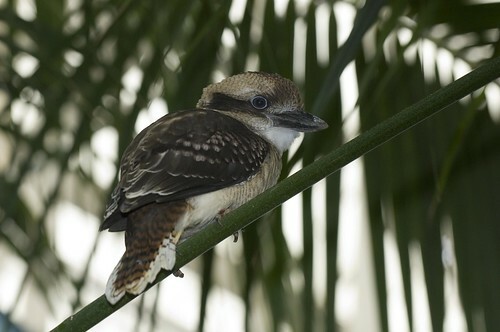 The dominant male and female breed, but nesting pairs receive help from other members of the group in rearing their chicks. 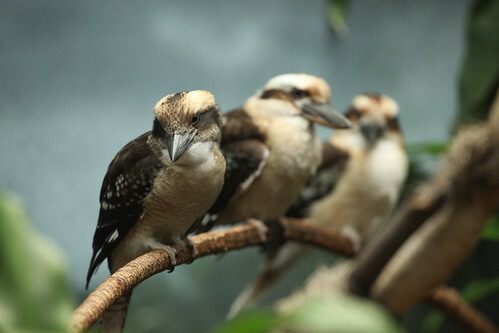 Mature offspring feed and protect their siblings before moving on to nests of their own.